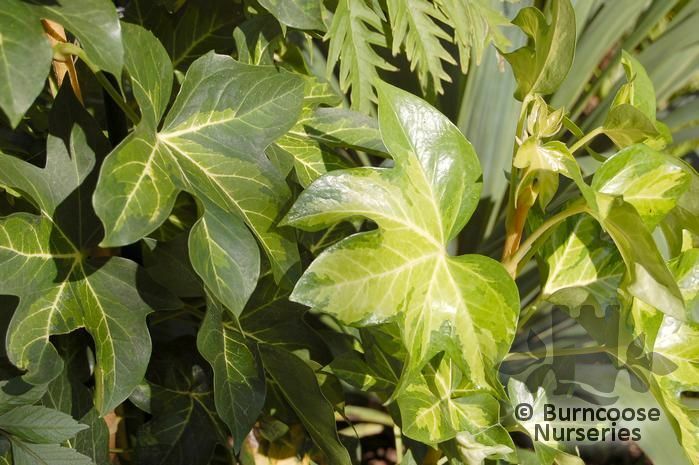 Evergreen - palmate, leathery, dark-green leaves divided into 5 or 7 lobes. Medium shrub - Typically grow to around 4-6 feet in height - spreading, loosely-branched shrub. Sterile, greenish-white flowers in autumn. 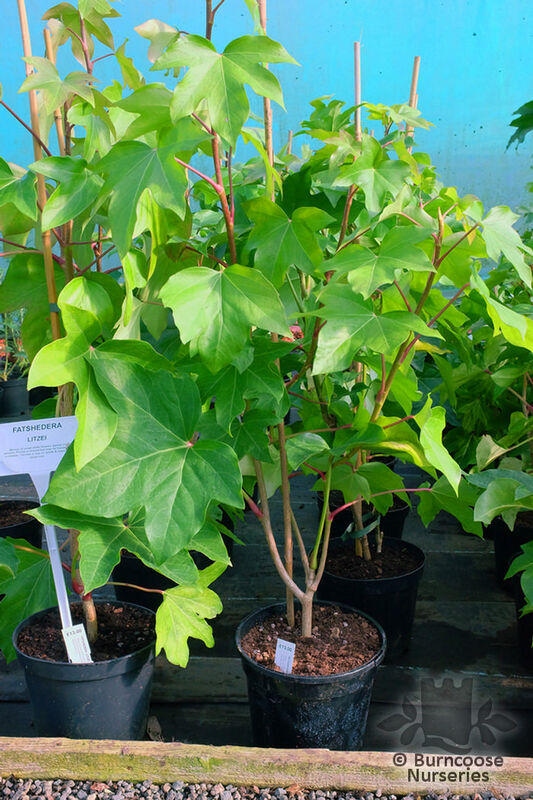 Additional Features	- Good to know - suitable for shrub border, cool conservatory or as a houseplant. Wildlife plant - nectar and pollen for late-year insects. 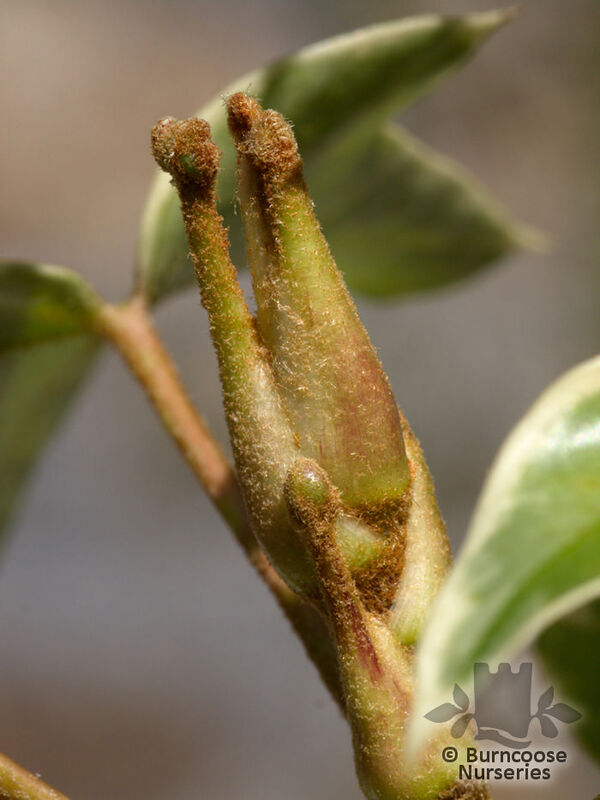 Pests & Diseases - mealybugs, scale insects. 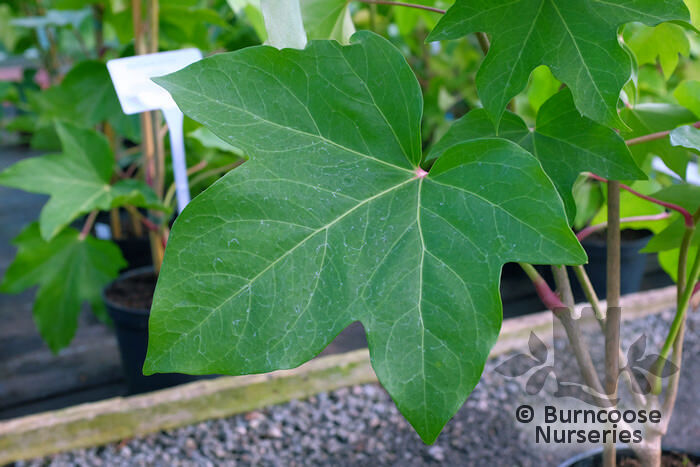 Commonly known as: Aralia ivy, Ivy tree.